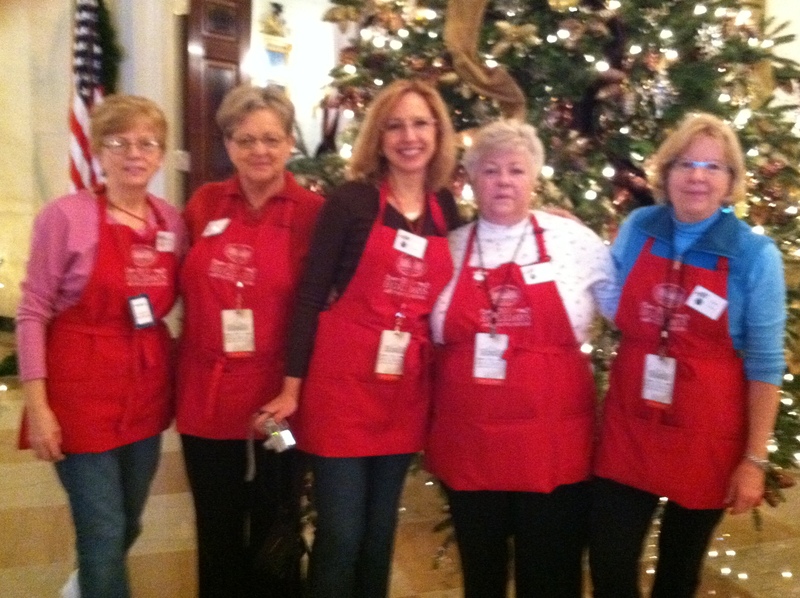 Volunteering to decorate at 1600 Pennsylvania Ave for Christmas is a bucket list item for many people, and I have posted on this blog in the past about my experiences working there in 2011 , 2015, and 2017. Though I didn’t participate this year, I have lots of pictures. Anyone can apply, and to my delight, discovered others have been accepted after reading about my experiences. 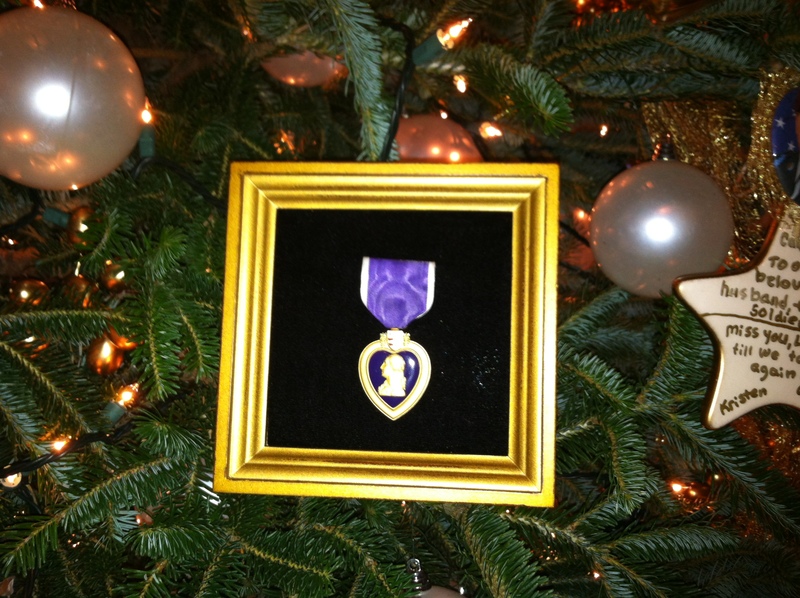 For my past posts, go to Time Honored Traditions, Decorating the White House-Past and Present, Decorating the White House, 2015-Part 1, and Decorating the White House, 2015, Part 2. 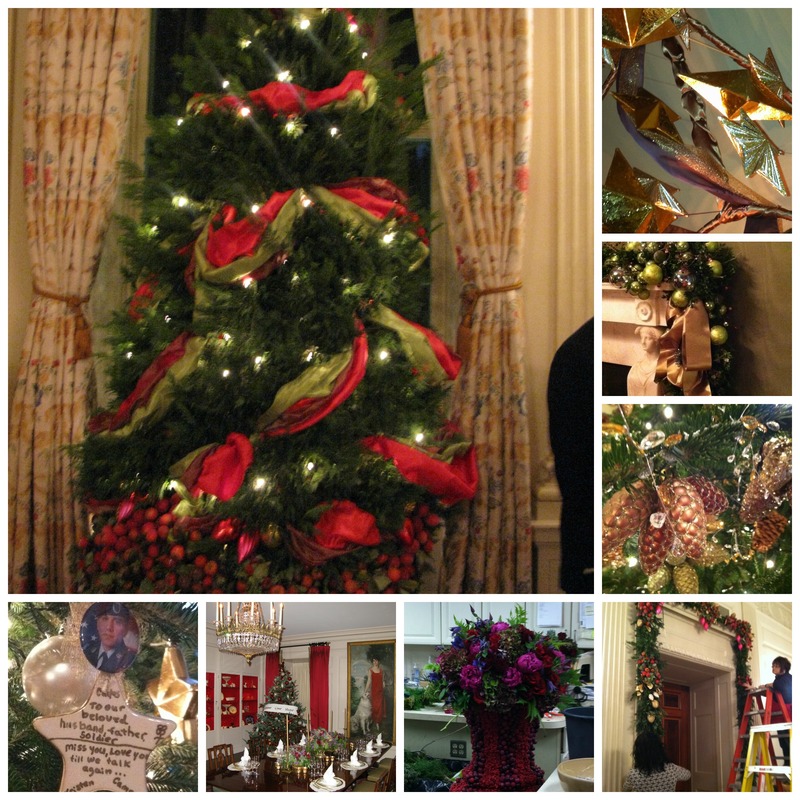 Work on the White House decorations starts at least six months in advance by designers who consult with the first lady, Melania, via sketches and concepts for each room. 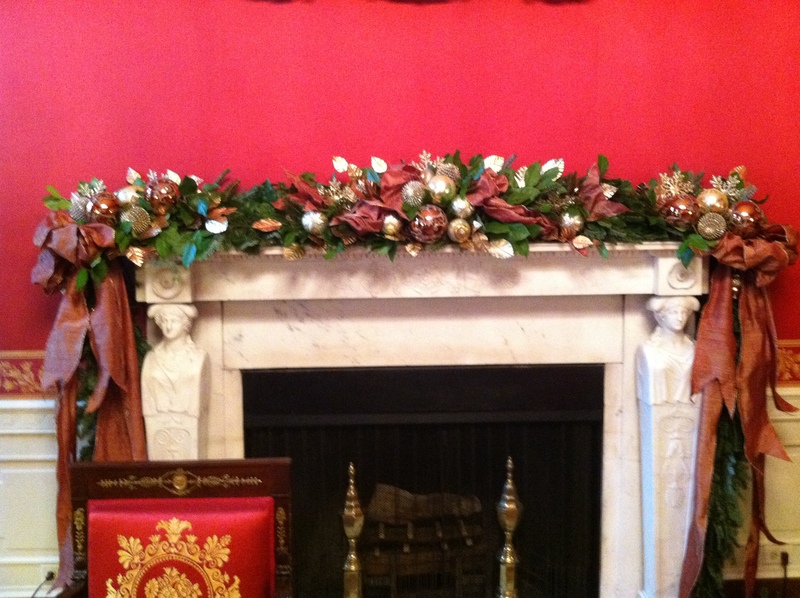 During the preceding summer volunteers can start applying online to decorate the White House by going to WhiteHouse.gov. Learning if you make the cut in October, there are about 85 to 120 people across the country and some overseas selected to take part. Explaining why you want to volunteer in a required short essay and the option of sending pictures of your work are on the application. As a volunteer you do not receive any compensation and you are responsible for paying your hotel, transportation, and most meal costs during Thanksgiving week, so this isn’t an inexpensive proposition. 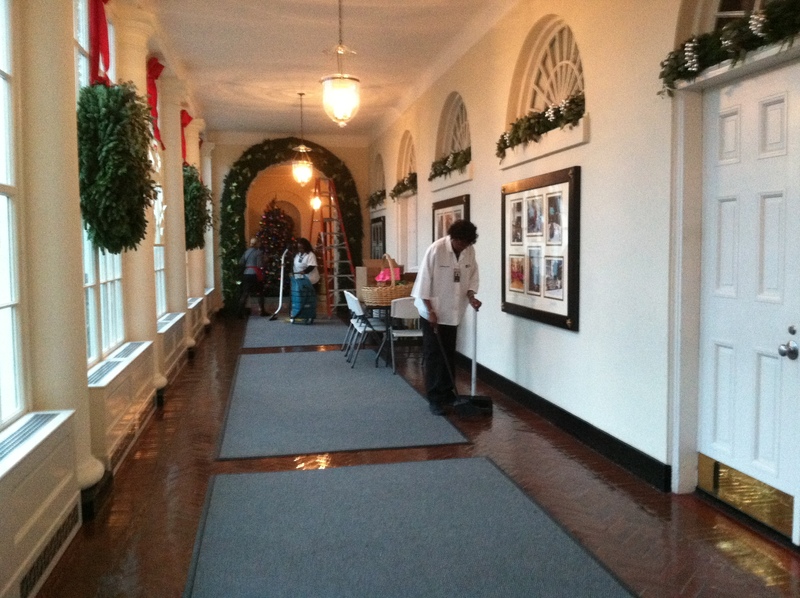 But the experience of working at The White House is exhilarating and so much fun, that everyone is really excited, even if you are just wiring up ornaments and moving boxes! 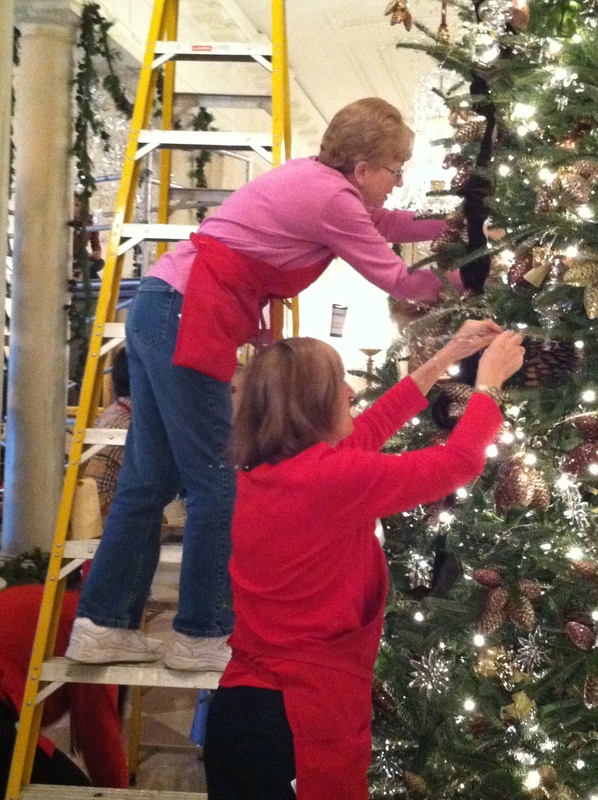 Many jobs are repetitive such as wiring up the trees with lights or making bows. I was on the bow team in 2015 and must have made over 500 bows in three days! 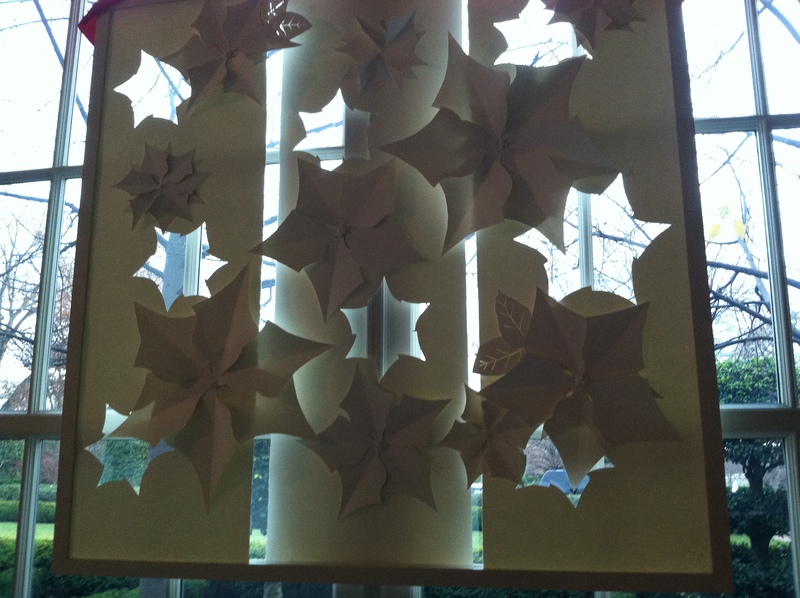 But you are working with interesting and dynamic people who like to decorate as much as you do. Since I decided to not apply this year, most of my pictures are from another volunteer that I worked with last year, Marci Lindsey and also a new volunteer from Oregon, Linda Goldfarb. Thanks for your pictures! The Blue Room is one of three state parlors on the first floor in the White House and is distinctive for its oval shape and contains the largest tree in the mansion. 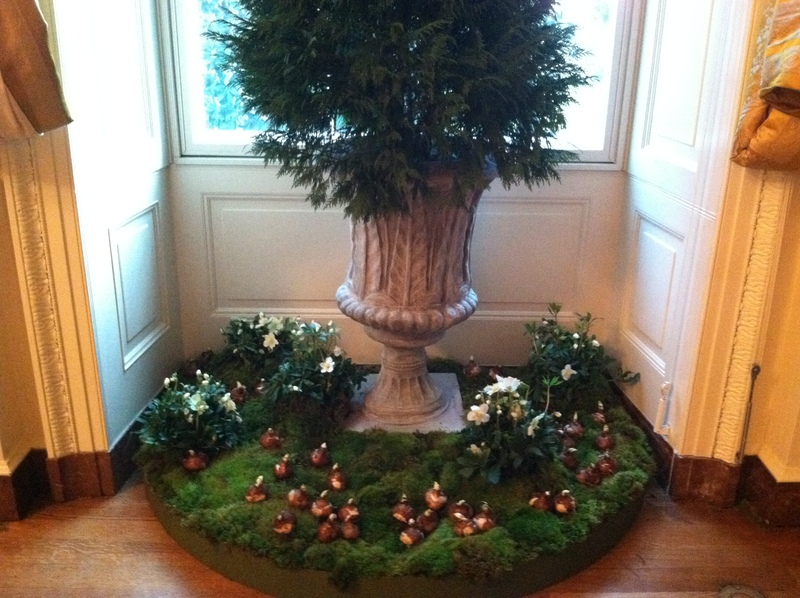 President Donald Trump and first lady Melania Trump accepted the official 19 1/2 foot Fraser Fir that went on display that anchors the holiday season in the central part of the mansion. 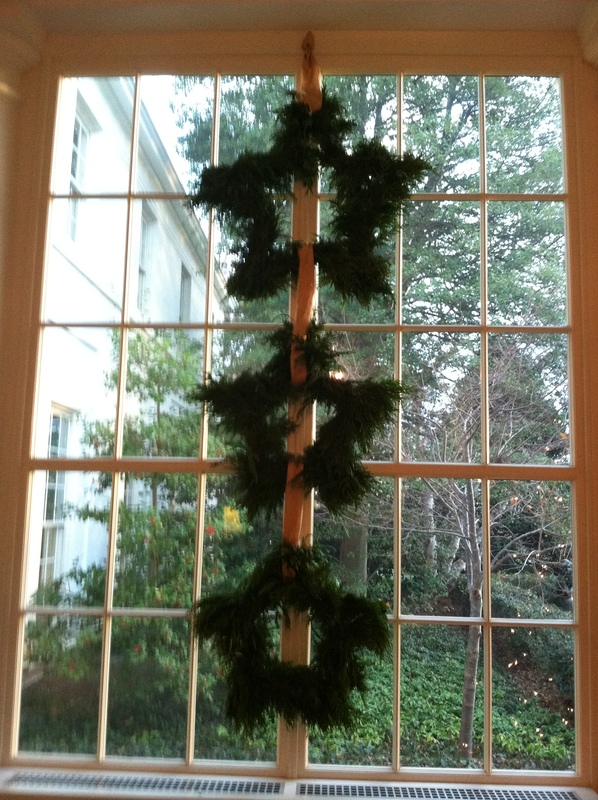 Removing a massive chandelier is necessary to accommodate the tree which is anchored to the top of the ceiling. The First Family is celebrating their second Christmas at Pennsylvania Av. and the theme this year was “American Treasures” to honor the unique heritage of America. The patriotic spirit is evident in all the decorations throughout this living museum that is held in trust for all Americans. 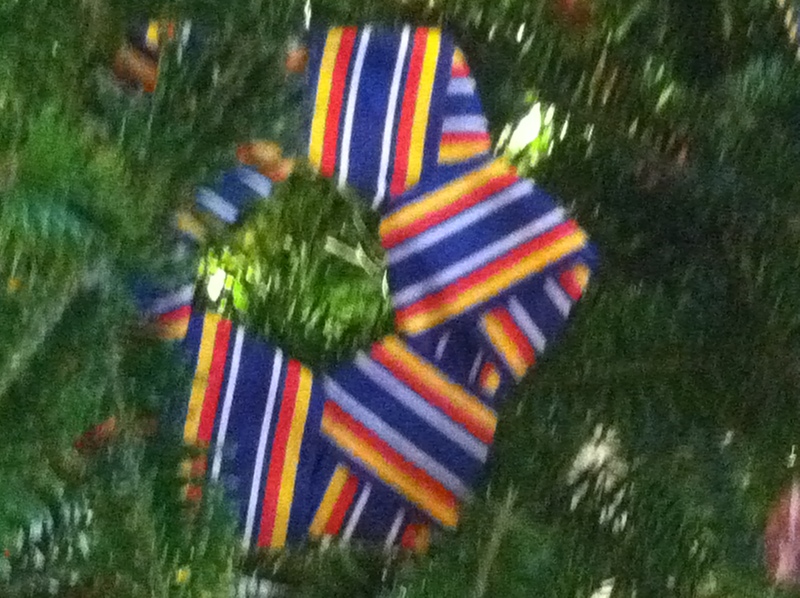 The theme is especially prominent in the Gold Star family tree In the East Wing with displays of patriotic ribbon. Decorated by Gold Star families, this tree honors all our troops and families who have sacrificed greatly to protect our freedoms. I recognized the patriotic stars and stripes ribbon as we used that last year also. 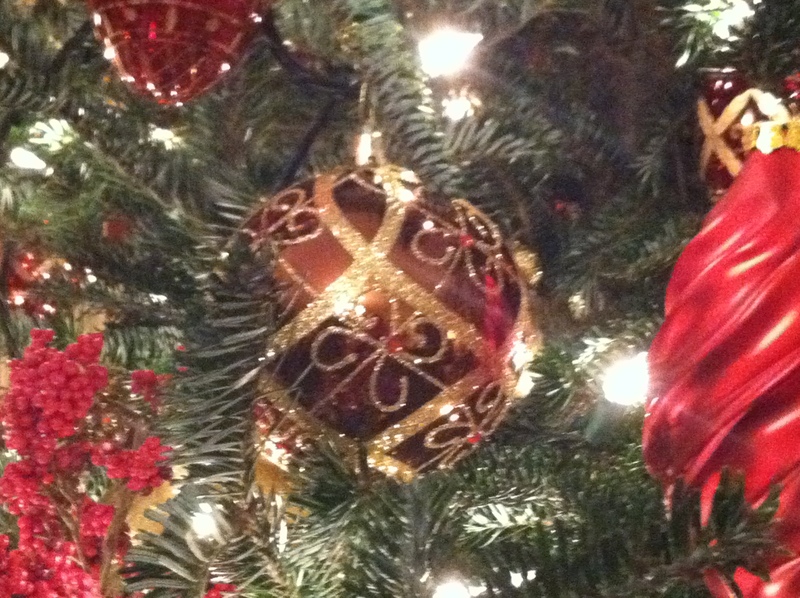 A high percentage of the decorations are reused/recycled from year to year. Digital tablets are placed in front to encourage visitors to write messages to the armed forces. Working in the White House which is a “living museum”, is so interesting that you realize the tremendous stories and history of the place. Just glancing around, you are surrounded by hints of what took place in the past. When I spotted the gorgeous full length portrait of Grace Coolidge in the China Room, I was intrigued and inspired to find out more about this remarkable woman. The wife of Calvin Coolidge, President from 1923-29, she was voted as one of the 12 most remarkable living women of 1931. 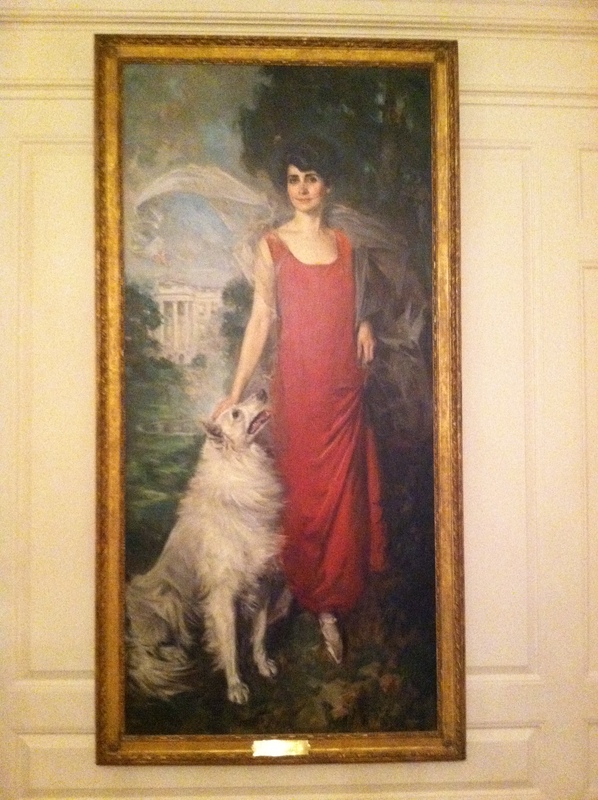 One of the most popular hostesses of the White House, she adored her white collies and Rob Roy was the first dog that appeared in an official White House portrait. She even kept a pet raccoon at the White House briefly! 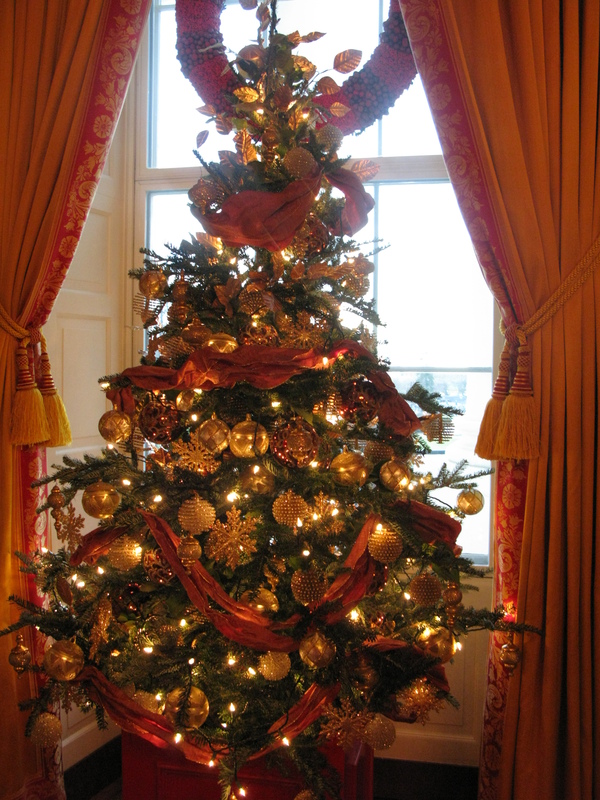 In the Vermeil Room, which means Silver-Gilt, you are surrounded by more First Lady history and the colors of muted gold is a great back drop for Christmas decorations. 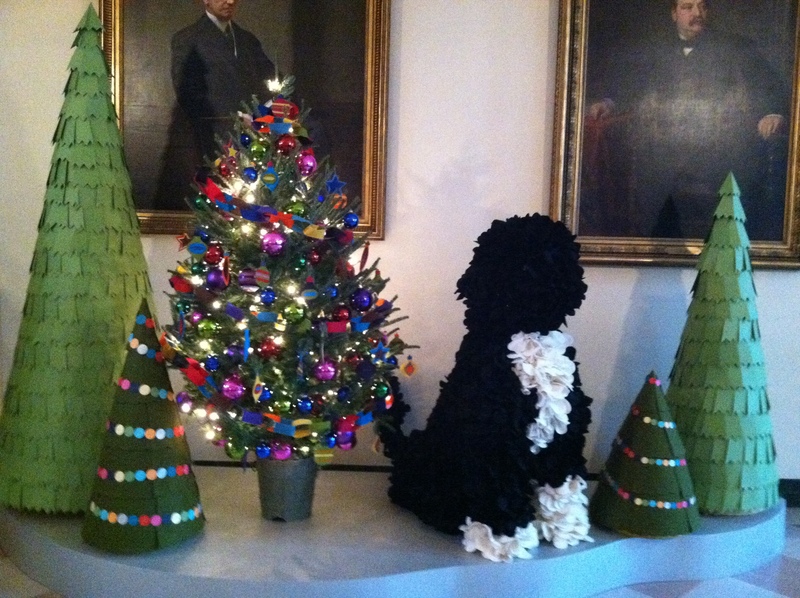 The Green Room, one of three state parlors, had a very handsome tree this year, decorated with a variety of fruits, and vegetables. Designed to remind Americans of the country’s great harvest bounty, grains were showcased on the tree along with artichokes, and fruit. This years creation is not a house, but an entire replica of the Mall, including the Capitol, the Lincoln and Jefferson memorials, the Washington Monument and the White House, complete with tiny green wreaths with red ribbons on each window. 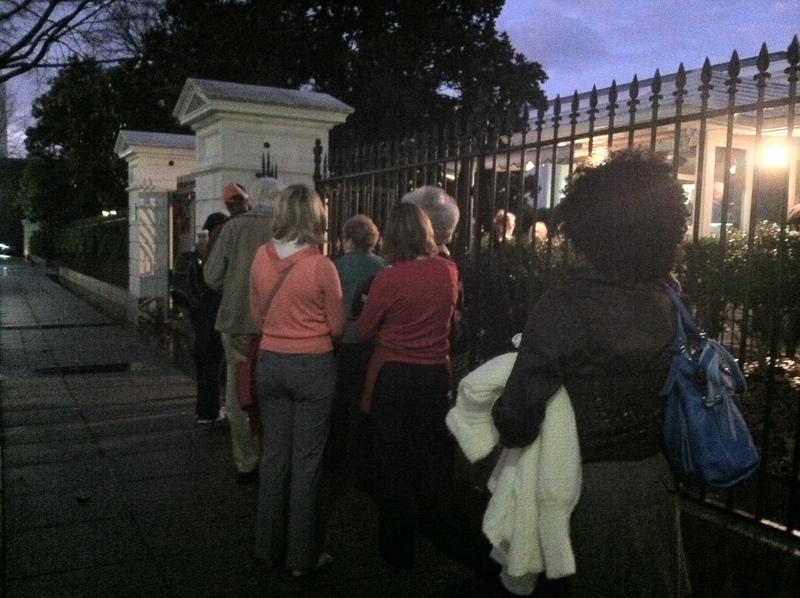 More than 40 topiary trees line the East Colonnade as guests make their way toward the East Garden Room, where the First Family Christmas card and ornaments are on display. A volunteer reception is held at the conclusion of all your decorating efforts on the last evening and you get a formal invitation from the First Lady, Melania Trump. 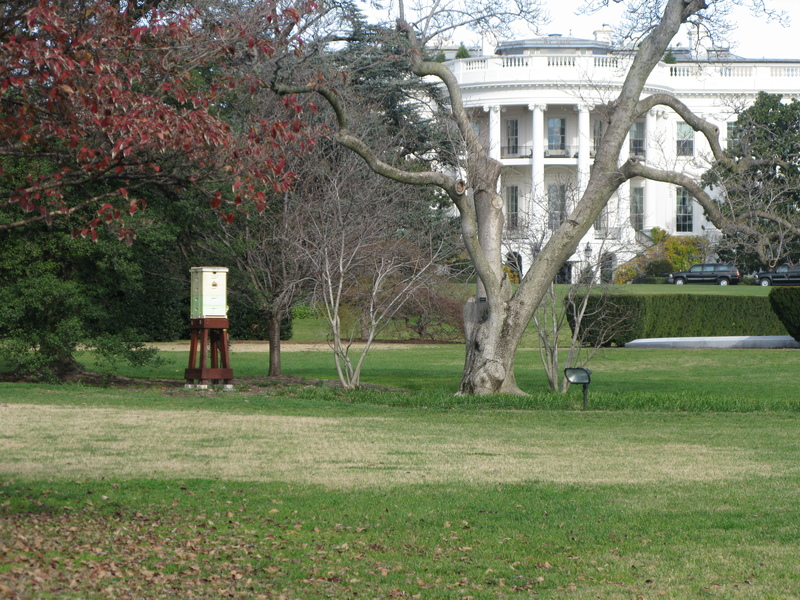 Throughout the month of December, the White House will host more than 100 open houses and receptions. More than 30,000 visitors will walk the halls taking part in public tours. Many visitors will have the opportunity to enjoy the staff and volunteer’s work over the coming weeks as the building is opened to private holiday receptions and public tours. 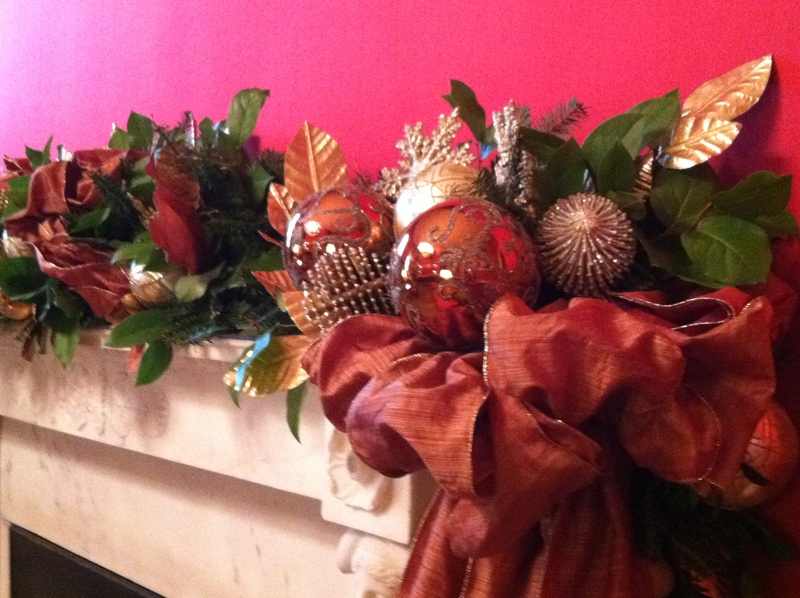 For more pictures of Christmas decorations, go to White House. I am always interested in what my readers are reading and using from my blog and sometimes I’m surprised. Blogging for four years means I have gotten a little better about what people are clicking on and what gets the gardening juices flowing. Looking at my archives and statistics, I see a variety of topics that are capturing people’s interests. Perennial(!) or evergreen blogs that capture readers interest turn up again and again and I re-blog them with better photos and updated writing. Maybe I need to write a book using one of these topics! The Garden Diaries blog was viewed over 110,000 times in 2015 with 58 posts and I have regular thoughtful comments from people. Thanks for all those comments! Keep them coming. Feedback and questions are welcome and help me become a better writer. Readers from over 166 countries read my blog. That just blows my mind! My most commented post was Plant Geek Alert-Pink Zazzle Gomphrena. Lots of interest in this plant and I continue to grow and love it. 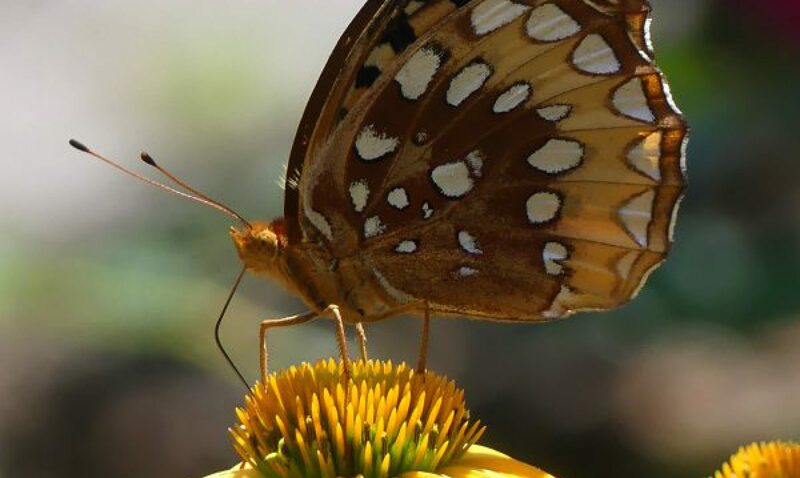 My most controversial blog was on Butterfly Bushes-Should you plant these? Or not? Picked up by Garden Rant it received lots of comments good and bad. It was a big year for me in the news. 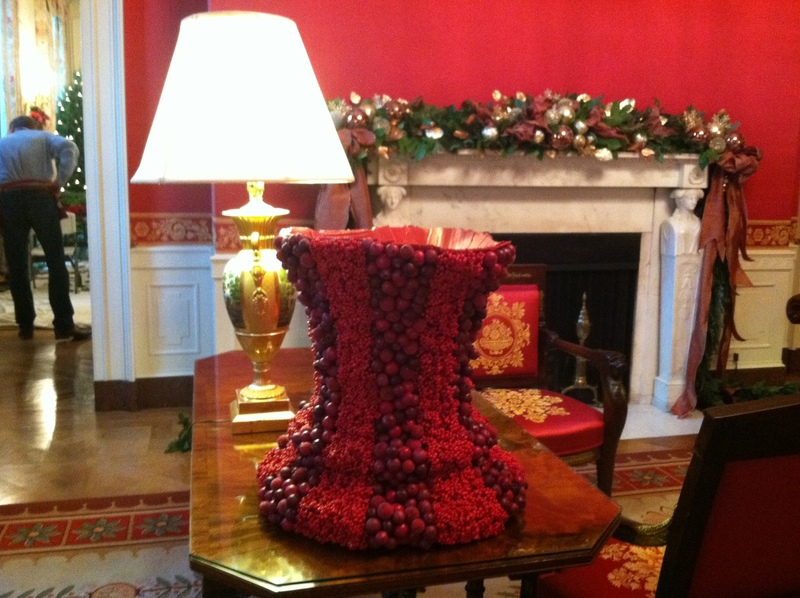 My White House experience appeared in The Baltimore Sun and one of my designs appeared in The Wall Street Journal. Yes, you read that right! This post from March 2013 has had an awesome 16, 649 readers this year alone. Picked up by different Home and Garden sites and one called “Woohome” that has funneled thousands of readers to my site bumps this post to the top of the heap. You can read it at Broken Pot Garden if you haven’t seen it yet. One other post which is right up there with “Gnome Home”, with 16,605 readers is my container post “Containers With Pizzazz: Not Your Ordinary Container”. I have refined this post over the years, adding new pictures and techniques to create containers which stand out from the crowd. Whenever I do talks on beekeeping, this is the number one question that I get-Why do bees swarm? So, no surprise here with this being a top post. “Wrangling” swarms is something I do every spring and is fascinating and fun. Honey extraction is another beekeeping topic that people can’t get enough of at Extracting the Flavor of the Year-Honey. Surprise, surprise! I had no idea until I started reading my stats, that this was a top 5! Easy to make with a few ingredients, honey is the unexpected ingredient to make a wonderful soothing body balm. People love miniature gardens! The above mini garden I photographed at the Philadelphia Flower Show and the purple splashes of color and attention to detail makes it stand out for me. Read how to put one together for yourself. Thanks to all my readers who are just visiting or follow my blog. Here’s to another “fruitful” and bee sting free year in 2016.